With so many actors sporting beards nowadays, nobody wants to shave off their beard anymore. In such cases, trimmers have proved to be very effective. They just trim off the necessary amount of hair without leaving the face bear and allow men to sport any style they want. 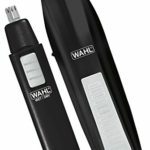 The trimmers are also effective for trimming hair for men as well, where they can keep it as short as they like or as long they want. 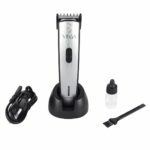 There are many trimmers out there in the market for both men and women and here ,we are going to discuss in detail about one of the beard and hair trimmer for men from Panasonic. 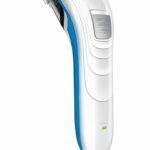 The Panasonic ER-207-WK-44B Men’s beard and hair trimmer will exhibit how necessary trimmers are for fashion conscious men who are ready to follow the current trends and keep in sync with it. The Panasonic trimmer for men is a necessary tool for men. 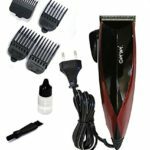 As claimed by the ER-207-WK-44B model Men’s beard and hair trimmer , the trimmer has all the essential features along with some exceptional qualities which make it an apt tool for men to flock towards for their trimming needs. Compact and with a user friendly design, the trimmer boasts of 12 length settings which one can adjust when trimming their beard or hair. 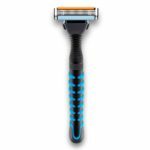 With its sharp blade and pivot head, the trimmer provides an efficient and close shave desired by men. Its length can be adjusted in 12 variable ways, by just adjusting the dial from 0.2 to 1.8 cm. 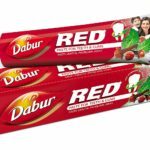 It has a detachable blade which can be washed and cleaned after use. 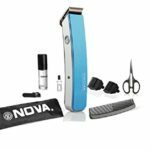 The trimmer can be used both in cordless and with a cord as per the convenience of the user. It comprises of an indicator lamp which indicates whether the trimmer is getting charged or not. It has a pivot head which adjusts according to the contour of the face and thus, cuts closely. It has an ergonomic design which makes it easier to handle and use while trimming. It comes with a 2 year warranty from the manufacturer. The Panasonic trimmer is a pretty useful tool for men and allows you to style your hair and beard any way you want. With its floating blade, it gives you a close shape and can avoid nicks and cut because of its pivot head. It can be used with and without a cord and is pretty easy to handle and use, providing the best user experience. However, you can use it only in the dry mode and only its blades can be washed and not the body. Still, the Panasonic trimmer is especially useful with its 12 length setting which allows you to trim only the amount you like. 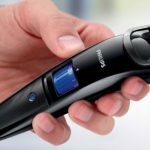 User Reviews – What people say about this Beard and Hair trimmer from Panasonic? According to many users,the compact design and its effective trimming capabilities are what attracts the users. 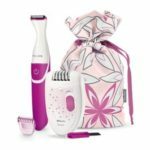 The Panasonic trimmer has managed to appeal to a lot of men who applaud its various features and its capabilities, especially the length adjustment. Many men are happy with the fact that they can trim as much or as less they want by just altering the length setting of the trimmer. Moreover, with both its cord and cordless feature, men do not have to worry about battery problems anymore. 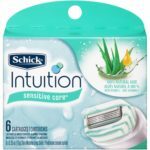 To sum it up, most men are satisfied with this trimmer and some even claim to prefer this particular one over the other brands. So, for men who are tired of just chopping their beards off, it’s time to invest in a good trimmer and just trims it just the way they want. The Panasonic beard and hair trimmer is not only exceptional for its trimming capabilities but also its ergonomic design which makes it easier to use. 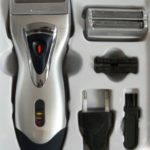 If you are looking for more alternatives,you could refer the list of Best Men’s Beard trimmers or Philips Beard trimmers for men.